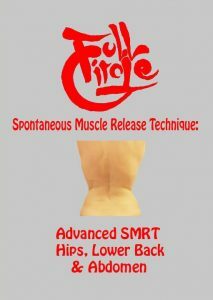 This video or live course if for those who have taken the basic SMRT: Hips, Lower Back, & Abdomen video or live course. Beginning with the posterior hip and lower back, we will assess muscle tension and imbalance through broad bony posture. Next, we will add to our existing knowledge of muscle releases by delving into new, as well as two-handed, releases for most muscles. Changing our focus to the bones, we will add to our bony assessment by looking at individual bones and how these affect tension patterns in the body. So, we will begin with the hip bones, lumbar spine, ribs, and femurs. In each case, we will assess the bony position and use SMRT to position the bone and release the muscles and connective tissues crossing or attaching to it. Moving on to the abdomen, we will look at the relationship between the rib cage and the hip bones and how that informs the muscle tension patterns in the abdominal wall. Staying with the abdomen, our next section will look at how SMRT is used to release the ligaments of the abdominal organs, the peritoneum, and the mesentery. In the next section we will change our focus and learn how to apply SMRT to directly target the fascia and tendons of the muscles in the hips, lower back, and abdomen, along with adding to what we have already done with the ligaments of the sacroiliac joints, the iliofemoral joints, the intervertebral joints, the pubic symphysis, and the costovertebral joints. Our final segment will be a couple of assessments and treatments, which will allow you to see the work in action and gain new information through each treatment. Before you purchase a home study course for continuing education please review the requirements for your state. 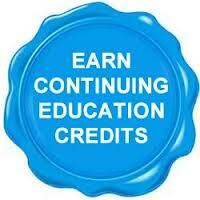 After watching and reviewing the course therapists will have to pass a continuing education exam to earn CE credits.